Purpose: To evaluate the outcome of patients of renal cell carcinoma (RCC) with inferior vena caval (IVC) thrombus treated by radical nephrectomy and IVC thrombectomy in terms of clinical and pathological factors and prognosis. 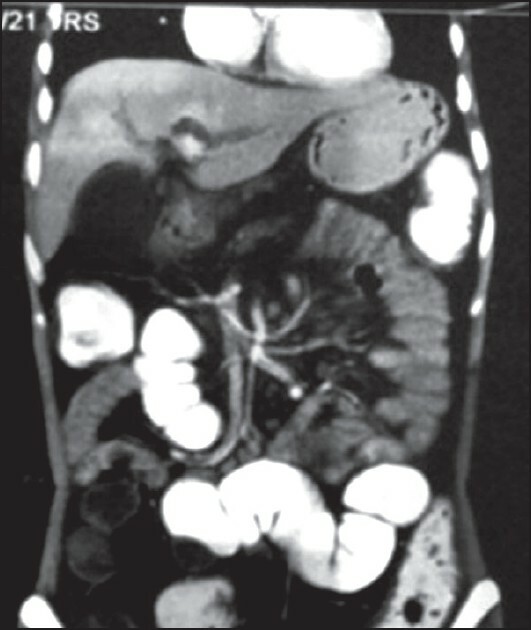 Materials and Methods: Sixty-three consecutive patients of RCC with IVC thrombus who underwent radical nephrectomy with IVC thrombectomy between June 1993 and May 2003 were included in this retrospective analysis. Data was analyzed in terms of clinical factors, such as level of thrombus, and pathological factors, such as grade, local invasion and N status. Results: Tumor thrombus level was infrahepatic in 35 patients, retrohepatic in 20 and suprahepatic in 8, including 5 with right atrial thrombus. The immediate post-operative mortality was 3%, and the incidence of major post-operative complications was 34%, but most of them improved after conservative management except one who needed surgery for burst abdomen. The disease free survival (DFS) was 48.5%, 50.6%, 66.6% and 40% for infrahepatic, retrohepatic, suprahepatic and intra-atrial tumors, respectively. Of the histological types, patients with clear cell tumors had the best prognosis; those with granular cell had the worst prognosis (DFS of 53.5% vs 33.3%, though statistically not significant). Grade-2 tumors had better prognosis than grade-4 tumors (DFS 66.6% vs 0%, P <0.001). Sixty-eight percent of patients without perinephric fat invasion were free of disease as compared to 31% of those with perinephric fat invasion (P <0.01). Further, N status showed DFS of 60.9% in patients with negative nodes and 30% in patients with positive nodes (P <0.05). Conclusion: Though surgery for RCC with IVC thrombus has high morbidity, it can give good results in terms of prolonged DFS in expert hands. Regarding long-term survival, pathological factors, such as local stage and grade, are more important than clinical factors, such as level of thrombus. Background: Visual inspection of cervix after application of acetic acid (VIA) is an effective screening tool for cervical cancer in low resource settings, but its low specificity leads to high referral rates. Adjunctive testing may overcome this drawback. Aims: This pilot study was aimed to assess test performances of VIA, human papillomavirus (HPV) testing and Pap smear, individually and in simulated combinations, to determine the probable best screening option. Setting and Design: Gynecology outpatient department (OPD); cross-sectional study. Materials and Methods: One hundred women with complaints of irregular vaginal bleeding or discharge, post coital bleeding or unhealthy cervix on examination underwent Pap smear, HPV testing, VIA, colposcopy and biopsy, if indicated, in this screening order. Statistical Analysis: Sensitivity, specificity, positive predictive value (PPV) and negative predictive value (NPV) were calculated for each of the tests with a biopsy result of ≥HSIL taken as the gold standard. Simulated parallel and sequential combinations for VIA/Pap, VIA/HPV and HPV/Pap were calculated and compared with individual test performance. Results: Prevalence of abnormal Pap smears was 5%, VIA positive 51% and HPV positive 16%. Sensitivity and specificity of VIA were 100% and 53.3% respectively. For HPV and Pap tests corresponding figures were 85.7%, 89.7% and 50%, 98.9% respectively. The best simulated combination with a balance of sensitivity and specificity was of VIA followed by HPV testing (sensitivity 85.7%, specificity 95.4%). Conclusion: Addition of HPV testing to VIA can increase the specificity of VIA, thereby reducing the referral rates without compromising the sensitivity of the test. Background: Cetuximab-based combination chemotherapy (CBCC) proved safe and effective as second-line strategy for metastatic colorectal cancer (mCRC). 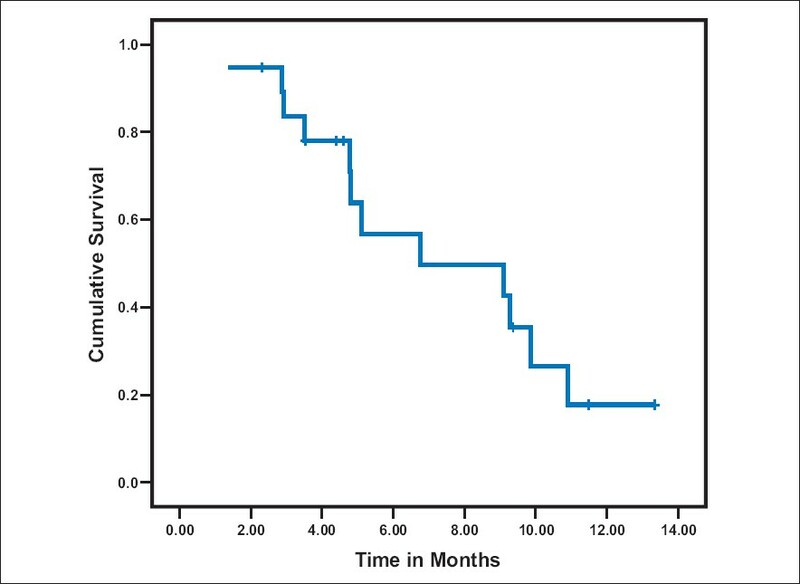 This prospective phase-II study was designed to assess the efficacy and safety of CBCC as first-, second- or third-line among Saudi patients with mCRC. Materials and Methods: Patients with mCRC were offered CBCC to assess time-to-disease progression (TTP), response rate and duration, overall survival (OS) and safety. Results: Nineteen patients were eligible and their median age was 51 years. Seven patients received CBCC as first-line and 12 as second- or third-line. Responses: 11 (58%) partial responses, 5 (26%) stable disease and 3 (16%) disease progressions. The median response duration was 4.3 months [95% confidence interval (CI): 3.4-5.2 months]. The median TTP was 6.8 months (95% CI: 2-13.9 months) for all 19 patients compared to 9.3 months (95% CI: 3.9-14.6 months) for the seven patients who received CBCC as first-line. The median OS for the entire population was 12.3 months (95% CI could not be determined). On the other hand, while the median OS for those who received CBCC as first-line have not been reached, the median OS for those who received CBCC after failure of other salvage therapies was 12.3 months (95% CI: 3.2-21.4 months). CBCC was generally tolerable. One patient had a severe hypersensitivity reaction and another fatal cardiac arrest. Conclusion: CBCC is active with an acceptable safety profile. Until results from phase-III clinical trials are available, using CBCC as first-line is probably justified. The differentiation of lymphoid cells is tightly regulated by transcription factors at various stages during their development. During the maturation processes, different genomic alterations or aberrations such as chromosomal translocation, mutation and deletions may occur that can eventually result in distinct biological and clinical tumors. The different differentiation stages create heterogeneity in lymphoid malignancies, which can complicate the diagnosis. The initial diagnostic scheme for lymphoid diseases was coined by Rappaport followed by Revised European and American Classification of Lymphoid Neoplasms (REAL) and World Health Organization (WHO) classifications. These classification methods were based on histological, immunophenotypic and cytogenetic markers and widely accepted by pathologists and oncologists worldwide. During last several decades, great progress has been made in understanding the etiology, pathogenesis and molecular biology of malignant lymphoma. However, detailed knowledge in the molecular mechanism of lymphomagenesis is largely unknown. New therapeutic protocols based on the new classification have been on clinical trials, but with little success. Therefore, it is imperative to understand the basic biology of the tumor at molecular level. One important approach will be to measure the activity of the tumor genome and this can partly be achieved by the measurement of whole cellular mRNA. 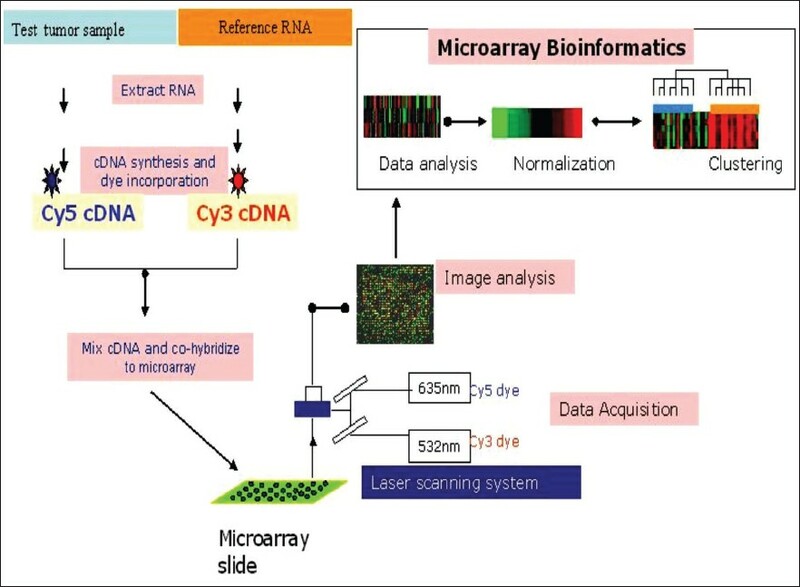 One of the key technologies to perform a high-throughput analysis is DNA microarray technology. The genome-wide transcriptional measurement, also called gene expression profile (GEP) can accurately define the biological phenotype of the tumor. In this review, important discoveries made by genome-wide GEP in understanding the biology of lymphoma and additionally the diagnostic and prognostic value of microarrays are discussed. Aggressive angiomyxoma is a rare, locally invasive mesenchymal tumor, occurring predominantly in the pelvic-perineal region of adults and carries a high risk for local relapse and hence the need to differentiate it from the other mesenchymal tumors occurring in this region. Presentation as a pedunculated polyp, like in our case, is unusual for this rare tumor. Except for positive surgical margins, there are no clinical or histological means for predicting the tumor recurrence. A diligent long-term follow-up is mandatory. 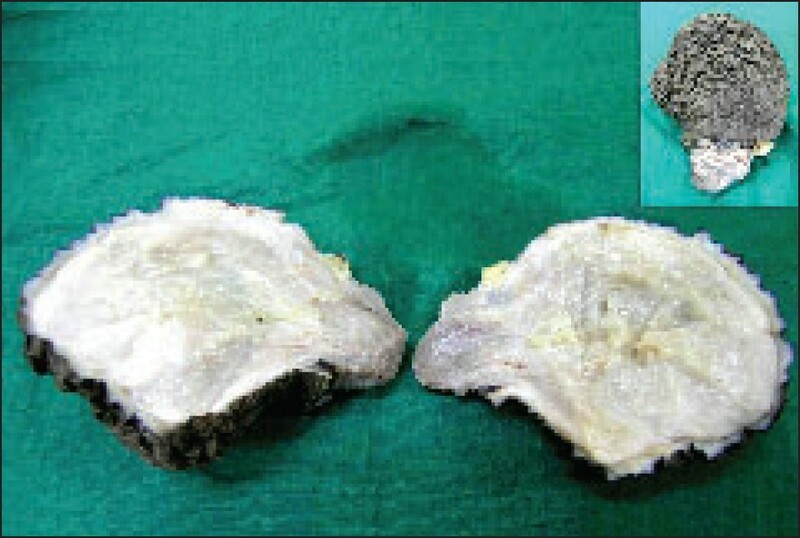 Though rare, this tumor needs to be considered in the differential diagnosis of vulval polyps. Carcinoid tumors of ampulla are rare clinical entities. They form 0.35% of all the gastrointestinal carcinoids. So far, only 109 cases have been reported in the literature, mostly as individual case reports. Since the metastatic potential and the tumor size have no correlation, unlike in duodenal carcinoids, pancreatoduodenectomy is considered the treatment of choice. Here we present a case of carcinoid of ampulla presenting to our department.